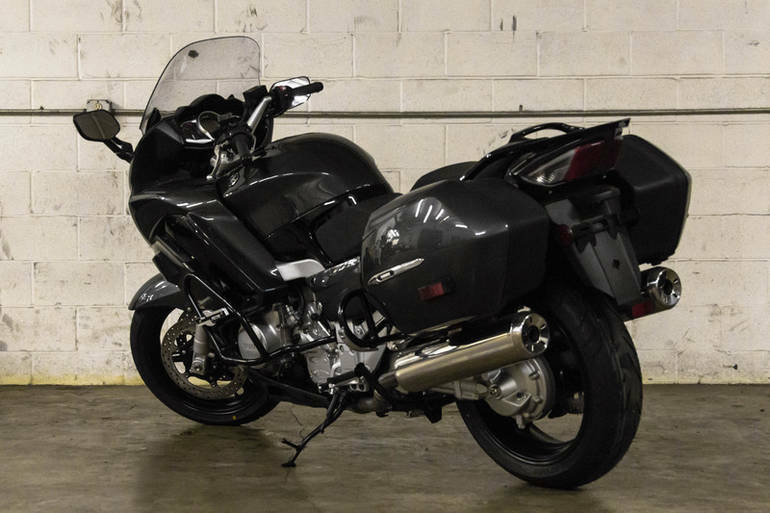 2015 Yamaha FJR1300A, 2015 Yamaha FJR1300A The industry benchmark in Supersport touring, the FJR1300A features electronic cruise control; MotoGP-inspired traction control; drive-mode to match performance character to the road; ABS brakes; customizable meter panel; heated grips; pushbutton-adjust windscreen, and more. Get ready to fly firs-class. Features may include: The FJR1300A boasts lots of features sure to grab the attention of many riders. The aggressive styling, including the headlight cowl and side fairing, are not only great looking, they also help improve comfort and aid in weather protection. Riders can select D-mode (Drive-mode) for varying mappings, giving the motorcycle exceptional versatility. This works in conjunction with YCC-T® (Yamaha Chip Controlled Throttle), generating engine character that can be sportier or more relaxed depending on riding situations. Traction control developed from MotoGP® technology is standard on the FJR1300A. While engaged, the system detects wheel spin and adjusts ignition timing, fuel injection volume, and throttle opening to help maintain traction. The system is designed to let the operator ride on roads that have limited traction with more confidence. Another feature now standard on the FJR1300A is cruise control. Riders can set cruising speed with the push of a button on the left handlebar to provide comfort and ease on extended road trips. A three-part instrument panel provides riders with all the information they need while enjoying the road. Riders can easily customize the display to show the information they want. LED front turn signals/position lights give the FJR1300A the modern, high-tech look sport touring riders want. A pushbutton-adjustable windscreen and a thick comfy seat for two are perfect for comfortable, long-distance riding. 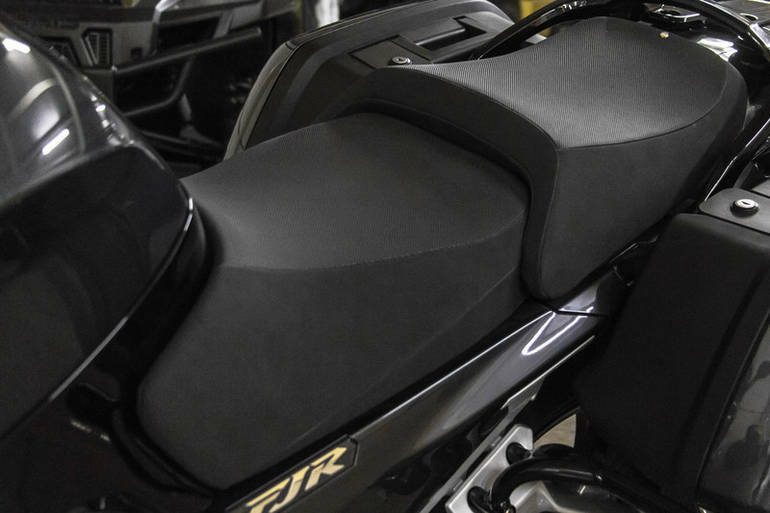 FJR1300A includes a two-position adjustable rider seat, low for shorter riders or nearly 1-inch higher for a more spacious feel for taller riders, plus handlebars that can be adjusted to one of three different positions. The result is a superb, custom-fit ride. 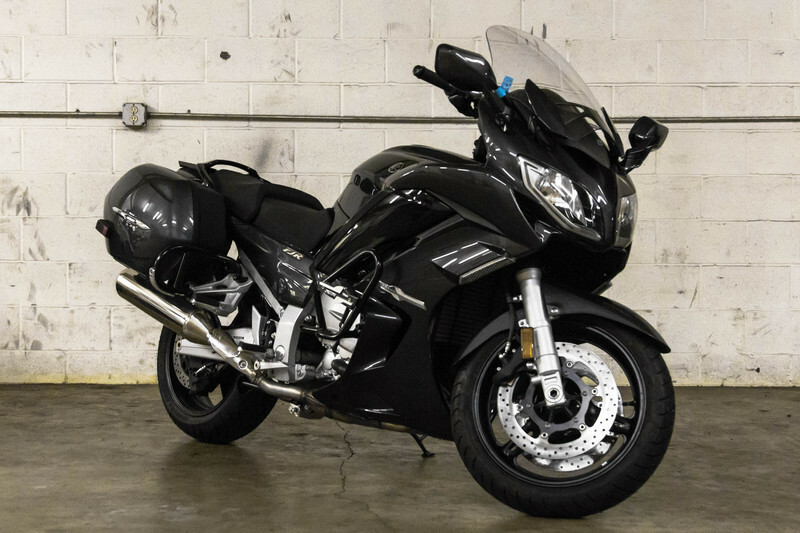 All Yamaha pictures are kind of Yamaha HD motorcycles picture was taken, including motor fuel gauge, engine, engine mounts, tires, fuel tank, the car handles, lights and so on, 2015 Yamaha FJR1300A full-screen viewing,2015 Yamaha Motorcycles today Price: $14,890 .